Founded by crew working within the industry, Yotspot entered the market in 2010 with a unique active software system that effectively sifts and matches individual data (i.e. crew profiles) with the specification of the position, giving you the very best candidates available in order of suitability. What is your Traditional Crew Placement Service? There will always be a need for bespoke crew placement in the maritime industry. For those that do not want to search for crew themselves we offer a Traditional Crew Placement service. Let the Yotspot team do the hard work for you. We have industry standard rates, warranties, and offer a unique personal service. Yotspot will present a list of candidates that not only fit your wants and needs but ones that have also been hand picked through interviews, referencing, and recommendations. We don't just want to fill positions; we want to fill positions with the right people. What's more, if you don't employ a candidate of ours, you don't pay a penny. Are you MLC 2006 compliant? Yes. We are a fully Certified MCA Recruitment and Placement Agency for our Traditional Crew Placement service only. To download our MLC 2006 Certificate please click here. To download our MLC 2006 company policy document please click here. How do I find the right crew when using the website? Registering is fast and free. Simply click 'Find crew' on the title bar or click 'Post a job'. Follow the instructions and specify the qualifications, experience and skill attributes that are most important to you and then post the position live on the homepage, it's that easy! Once live, email alerts get sent to all relevant crew members encouraging them to apply for the position. All crew are then ranked (%) in order of suitability, based upon your criteria. A filter system also exists so you can quickly find your crew with a short-listing function also available. Alternatively, you can also search our crew database of 48157 members directly. How do I apply for Jobs & Sailing Opportunities? Registering is fast and free. Complete your unique online profile and upload your CV/Personal Statement, Certifications and References. Simply click 'Find a yacht' on the title bar and start your search. When you find a position that interests you, just click 'I'm interested' and you're done. You can follow your progress with an application by clicking your 'My jobs' section and here you'll be kept informed on all the positions you've applied for, whether you've been shortlisted and can also reply to any messages you may have been sent by captains or employers. What kind of positions might I find on Yotspot? Yotspot is designed to cater for both Amateur & Professional seafarers who are looking to find crew, jobs or positions. This might include paid jobs on sailing, motor yachts (including super/mega yachts) and commercial vessels. In addition, we also provide sailing opportunities for yacht racing, cruising, deliveries, mile building and ocean sailing for example. What about my personal information and privacy? Privacy is extremely important to us and we adhere to the Data Protection Act 1998 (DPA). The dissemination of your personal information (your profile) is at your complete discretion and at no time shall Yotspot be involved in the collection or otherwise sharing of your personal information other than that described in our privacy agreement. Please contact us or log in to your 'My Profile' section. What is The Yotspot 24/7 Account Subscription all about? Subscription to The Yotspot 24/7 Account is available for 3 or 12 month(s). By subscribing to Yotspot you will gain unrestricted access to our entire crew database (48157 members) 24/7, 365 days a year. This includes unlimited postings, ALL crew contact details, CVs, references & certificates. It also brings peace of mind that whenever you're looking for crew you have the latest CVs at the click of a button. This is the ultimate utility for finding crew on the move, allowing you to search for crew whenever and wherever you want and allows the user to intelligently search our database, post unlimited job postings with all applicants ranked in order of suitability. Tired of having to compare CVs? All our candidates have the Yotspot crew profile, a CV designed with the Captain in mind, providing all the necessary information you need to make your hiring decision easy! What is your Refund Policy with The Yotspot 24/7 Account? If you do not employ or find a relevant crewmember from our database, simply contact us within 30 days of 'posting a position' or subscribing to our service(s) and we shall give you a 100% refund. I need to report abuse and or misleading/inaccurate profiles? We are sorry to hear this! Whilst every effort has been made to ensure that the information within profiles is accurate and up to date, ultimately this responsibility lies with the individual user. If for any reason you feel certain individuals have misrepresented themselves or as a user have suffered harassment from using our services, please contact us as soon as possible, mentioning the individual's Yotspot user ID including your JOB ID (if relevant) and we shall take the appropriate administrative action. How long does my advert appear on the site? As soon as your advert goes live, potential crew will be able to see your advert and apply for the position. Your listing will appear on our homepage for 21 days and during this time you can collect an unlimited number of crew profiles but only from crew who are 'interested' in applying. This method provides you with real-time applicants that are eager to be taken forward to next stage of the interview process, saving you a considerable amount of time and resources. What happens after 21 days? We realise that the recruitment process can take time. After 21 days your listing is removed from the homepage, but you are still allowed access to all the crew profiles that applied for another 7 days. This gives you time to make any final decisions and process some last minute applicants. You then have the option to shortlist those candidates that really appeal and make use of our internal messaging system to arrange interviews or access telephone/ emails addresses in order to move the process forward. What is the difference between the Basic and Advanced search? Unlike traditional sites, Yotspot's unique selling point is that you can specify key attributes you require from your crew when you design your job advert or perform a search. The 'Basic' search deals with information such as where you would like your crew located and how many years experience you would like, whereas the 'Advanced' search deals with specifics such as qualifications and a comprehensive list of skill sets required. Will any seafarer be required to pay fees or other charges either directly or indirectly in part or in whole for gaining recruitment, placement or employment? We do not and will not ever charge seafarers for gaining employment. The only fees the seafarer is expected to pay is the cost of obtaining a national statutory medical certificate, a national seafarers book and a passport or other similar personal travel documents. The seafarer does not have to pay for the cost of Visas. Will any seafarer be asked to pay for Visas? If a Visa is required the costs will be borne by the shipowner/yacht owner as per MLC A1.4.5b. When this is not possible and a seafarer has to obtain the Visa, the seafarer will be reimbursed by the shipowner as per Yotspot's terms and conditions. 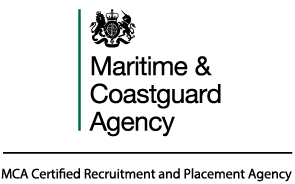 Are there any mechanisms or lists intended to prevent or deter seafarers from gaining employment for which they are qualified (black listing)? Yotspot does not have any mechanisms or lists intended to prevent or deter seafarers from gaining employment for which they are qualified. Yotspot has a strict no blacklist policy and believes in equal opportunities for all the seafarers we deal with. How does Yotspot treat seafarers? We pride ourselves on being a fair and just company. Seafarers are not subject to exploitation by Yotspot or their personnel with regard to the offer of engagement on particular ships or by particular companies. How do I find training courses on Yotspot? It’s easy. We currently have 6224 courses listed on our database. To search these, simply click www.yotspot.com/course-search.html to get started. If you book and pay for a course through our platform your relationship is always with the training provider and not with www.yotspot.com. You therefore acknowledge that you are legally contracted to the training provider (used at the time of booking) and not CB Media Group Ltd. The terms and conditions for cancellations, refunds will be provided by the training provider at the time of booking. How do I add training courses? You’ll need to have a ‘Training’ account with us to add your courses. To sign up please click www.yotspot.com/sign-up-emp.html?typeid=9. It’s completely free to add your courses on our website and all enquiries will be sent to you via your email address. If you wish to increase your bookings and gain more exposure, then you have the option to join our marketplace. The marketplace allows you to advertise your courses by adding dates and receive payment(s) to your nominated bank account. The cost of this service is 10% of the gross course fee and this is only ever charged if you receive a booking. No booking, no fee! Why should I add my training courses? With over 48157 registered crew and growing by around 7500 per annum we offer the perfect place to reach your target demographic… Captains & Crew! Your courses, promoted to the people that matter! It’s completely free to add your courses without dates. If you wish to add dates and gain more exposure, then you’ll need to join ‘The Marketplace’. The marketplace costs 10% of the gross course fee and operates on a no booking, no fee policy! Therefore, you’ll never get charged a fee unless we’re generating you income! How does the booking platform service work? Our booking platform is integrated with www.stripe.com (online payment gateway) where you’ll need an account. It’s completely free to setup. Any courses booked through our platform will display within your ‘My Bookings’ section as either, Awaiting, Confirmed or Cancelled where you are given complete control over your customers and timetable. What happens when I accept a booking? Once a booking is confirmed, a confirmation email is sent to the customer and payment is taken. Payment is then sent into your Stripe account (minus our % fees) before settling into your nominated bank account, usually within 7 working days. What happens if I forget to add dates to my courses? I have some ideas on how to improve this website - who should I speak to? Great...we love improvement! Please let us know your ideas and we may incorporate them in the future. Tell me about how Yotspot uses Facebook, Twitter and RSS feeds? Yotspot is fully integrated with Facebook, Twitter and RSS feeds. We connect to Facebook through the community, news and information part of the site. In our community section this includes any blogs users find interesting where they have the option to 'like' on their Facebook page. News and Information will be published from time to time on our Yotspot - Bringing Crew Together page. Here we use Twitter to inform followers of new positions available and exciting Yotspot news and information. Again, if users find interesting information from our community pages they can 'tweet' this to their friends. Stay informed, follow us today! We use RSS for the latest jobs and positions. Stay connected and turn your feed on now! From time to time we also send out our company newsletter to inform users of recent positions, news and information. Register today and keep updated! Got something else to talk about? Please contact us where you can write or send us an email.